Art Bikers were welcomed back to Ardmore Park by community residents to continue the fence decorations (Silly Faces in other years). The fence has become a kind of "living mural" over the last few years. 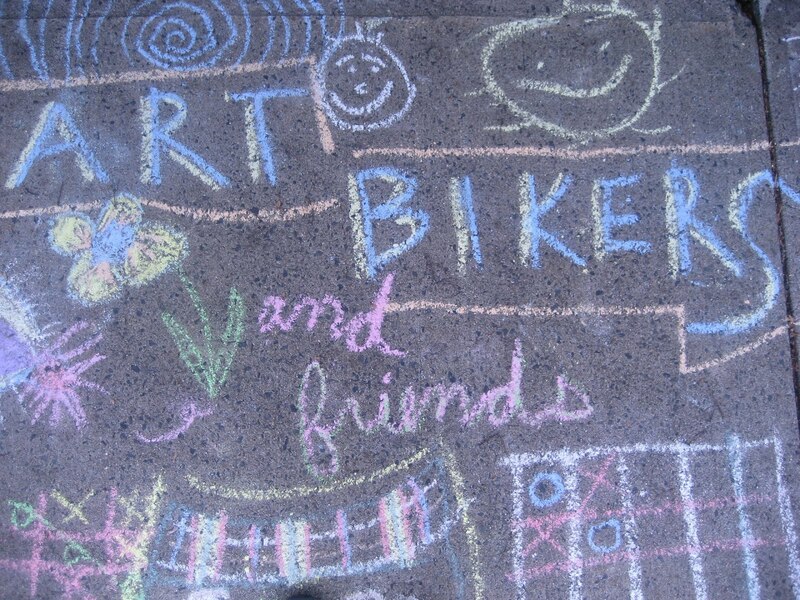 We are thrilled this community enjoys creating community art together and that we are invited back. Check out the photos of some of this year's additions to the fence. Thank you, Ardmore residents!